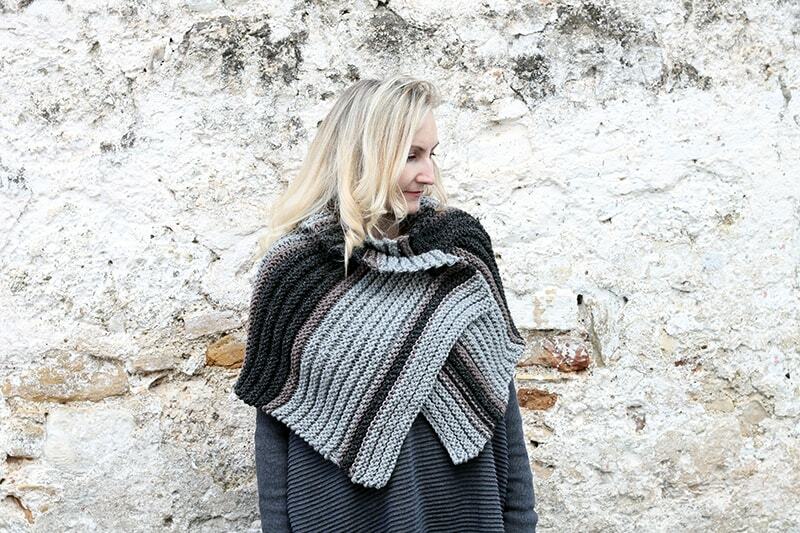 The Outlander capelet pattern has been inspired by Brianna’s capelet from the TV series Outlander. Not identical to the original, this capelet has a more simple shape, allowing it to be worn in a couple of different ways. If you have been watching the Outlander TV series, Brianna wears a knitted capelet when she reunites with Jamie in season 4. The capelet inspired me to make my own design, using similar colours and creating a similar shape. 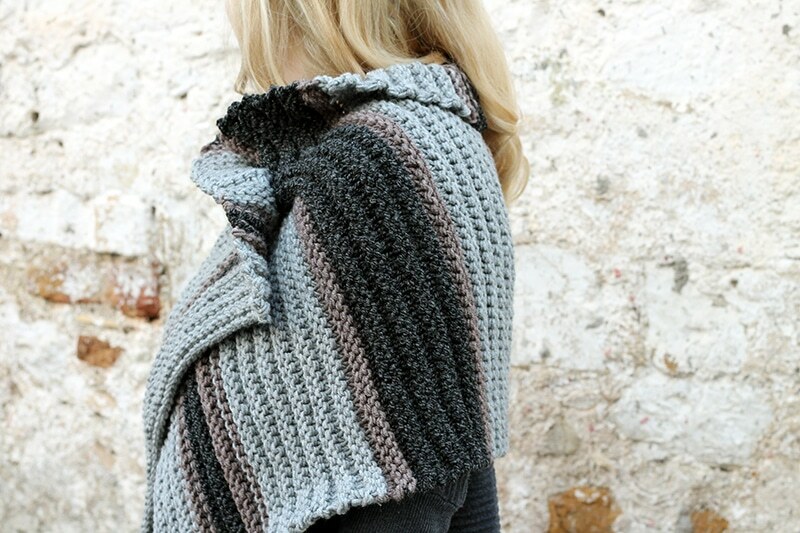 The cape has been knit in rib on straight needles, not including short rows for shaping, but rather to be worn as a crossed over cape for warmth. Inspired by Brianna Fraser wearing beautiful knitted pieces, the capelet is knit flat and then held into place with a large button fastening. 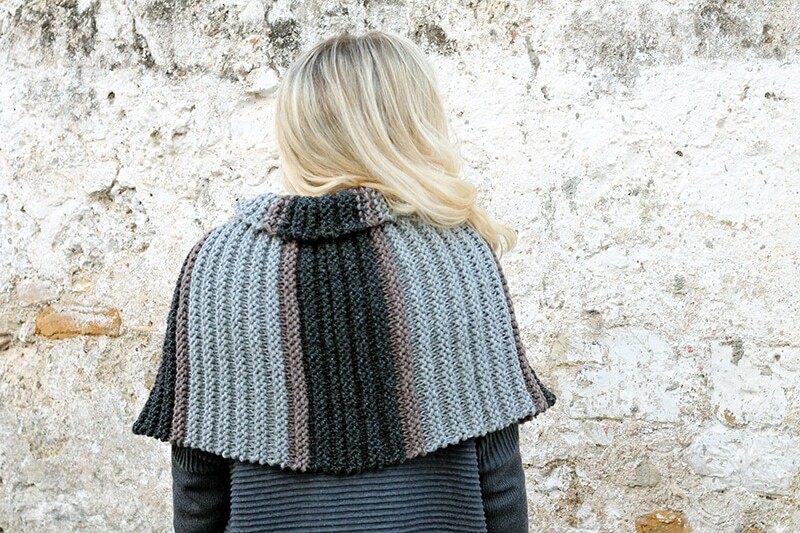 I knit the cape with the idea that it creates a cosy shrug, wrapping into your shoulder and crossing over to fasten. I decided to add a large button to fasten, but you could also use a large pin, which would make it more versatile. 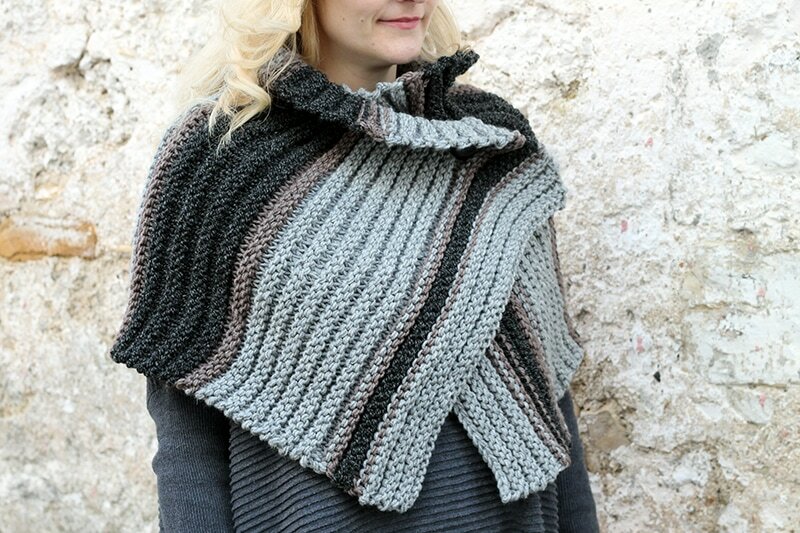 This capelet could be made in stripes as seen in the photos or all in one colour. 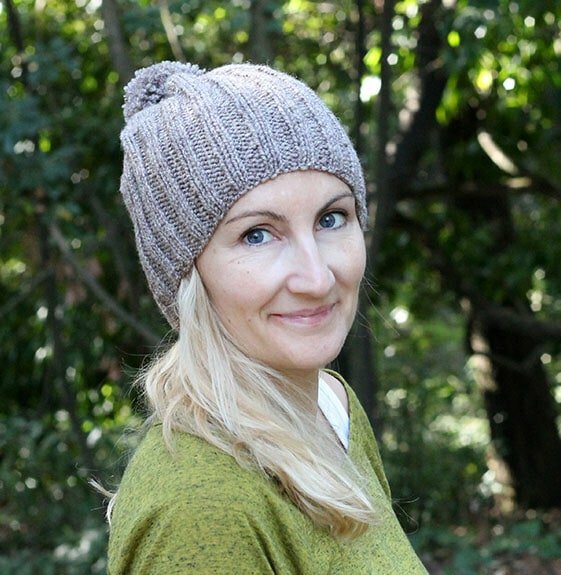 It is very easy to wear and can be worn wrapped around the shoulders or draped as a shawl. Make this Outlander Capelet with the easy to print out pattern below, then come back and let me know what you think in the comments or leave a review! 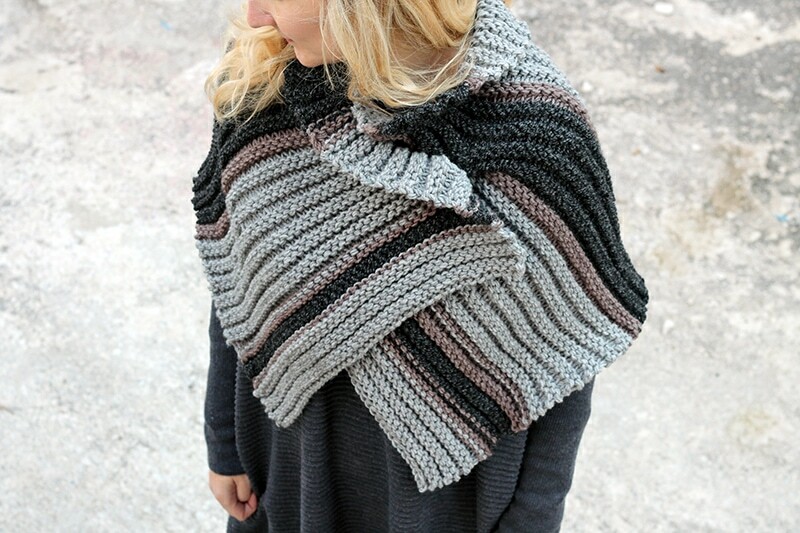 The Outlander capelet pattern has been inspired by Brianna's capelet from the TV series Outlander. 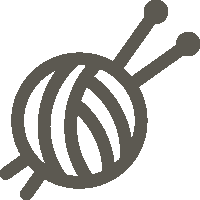 Any bulky weight yarn (05). I used Alize Lanagold Superlana Maxi. 8mm (US 11) knitting needles - I used my interchangeable needles on a 24" cable as there were many stitches. Stitch the button into place where you want it to go.